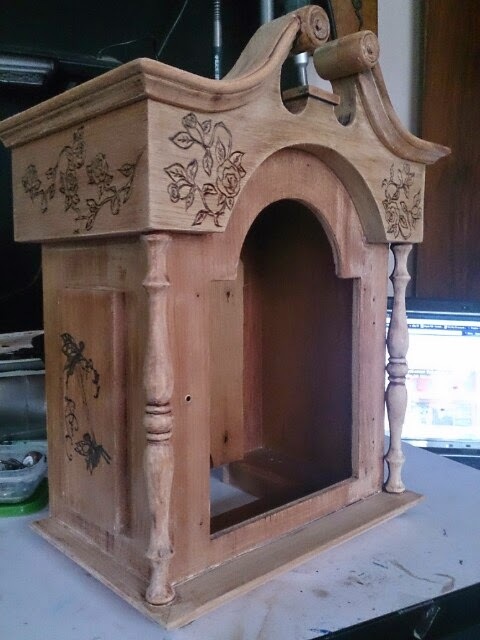 welcome to my Faerie Clock Project blog, I hope you like following the project as it progressed and the item is now available for purchase in my shop. 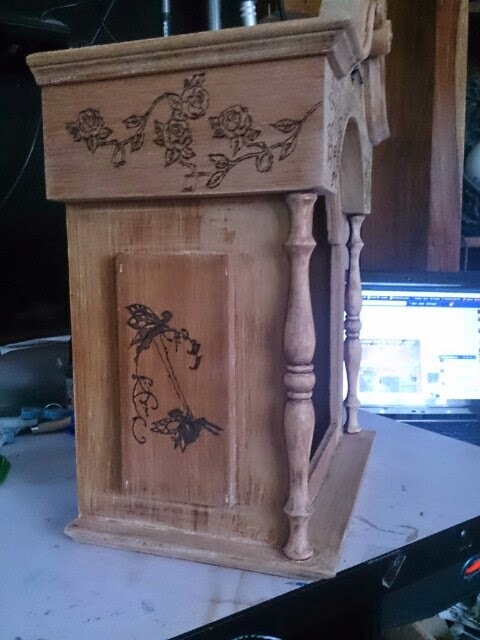 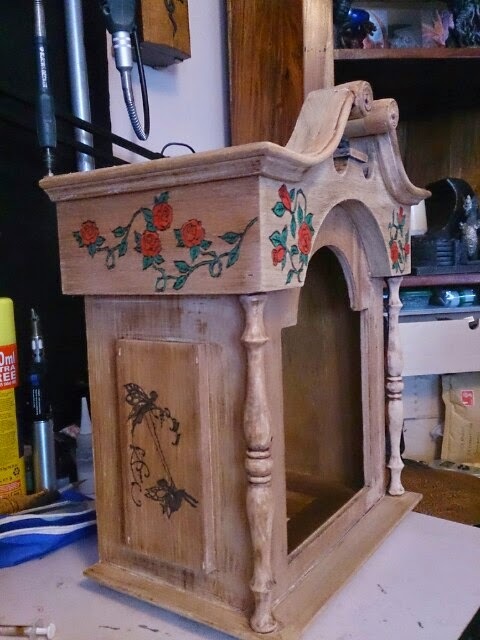 I managed to get hold of an old tall clock that was ideal for this project and I new would make a truly beautiful unique item. 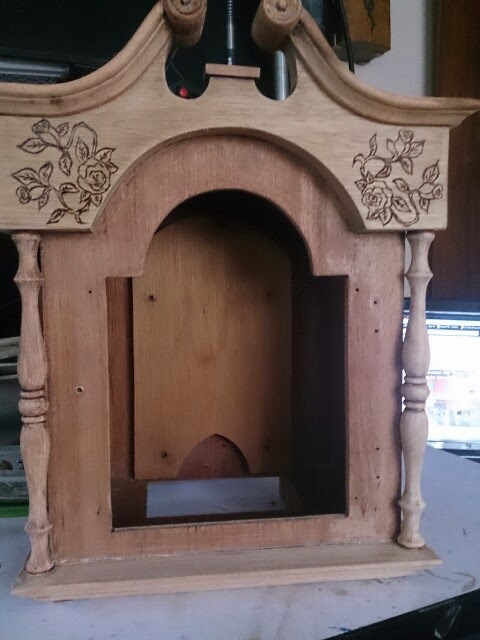 To start the project though, I have to separate the clock top from the casing which was a little tricky as it wasn’t clear how it had been assembled. 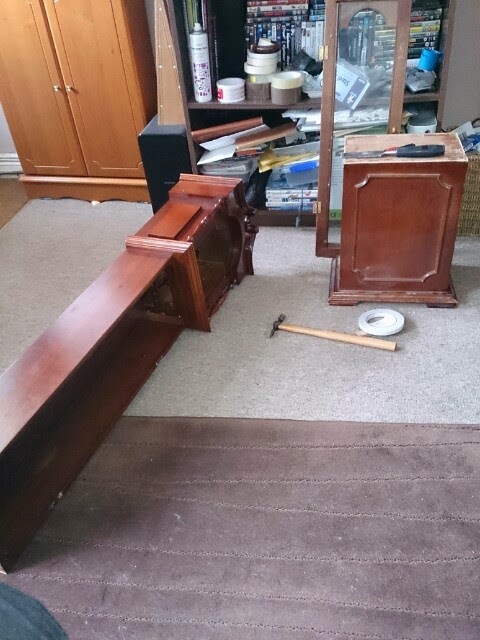 As a short while, the clock was in 3 parts, the top was one, the pendulum case another and the base a third and it was ready to start prepping. 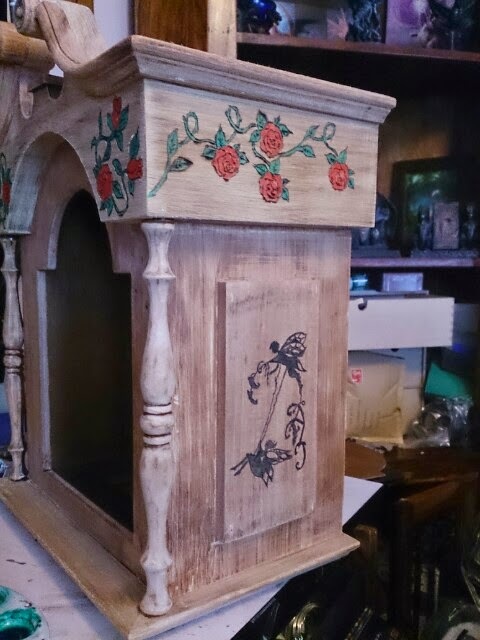 The design for the new clock face had already been decided so it was just a case now of removing the old one and clock mechanism, which unfortunately had broken so that I could get the correct measurements. 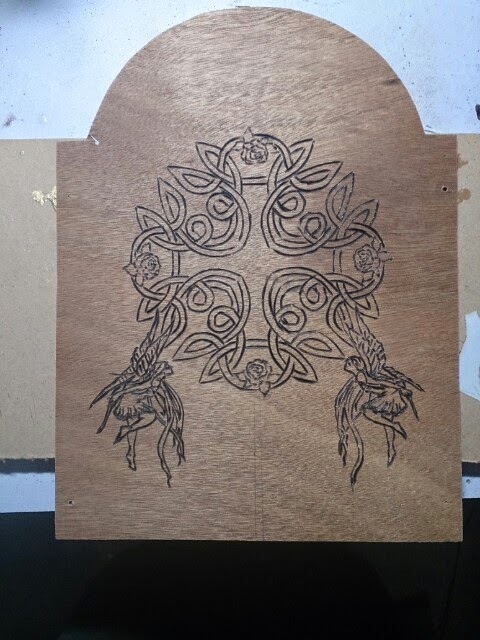 The new face, made from Plywood now needed to be carved with the design and then phyrographed to make it start out when the appropriate wood stains were added. 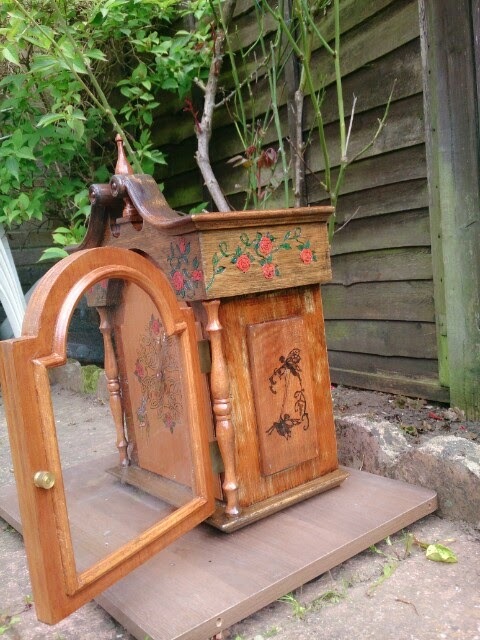 The case now needed to be prepped ready for new stain and artwork to be added. 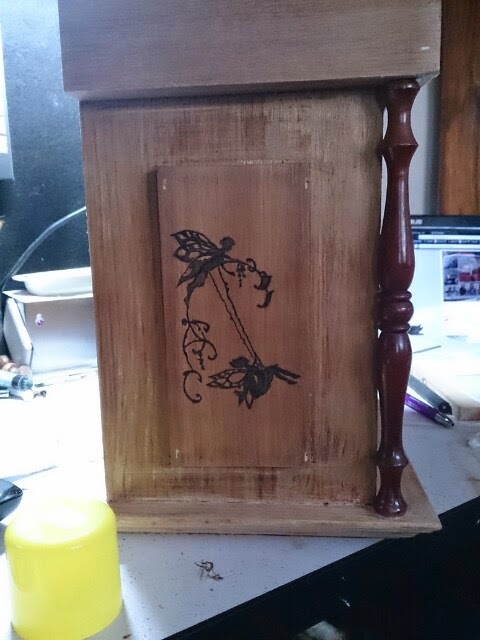 This took a fair amount of time, 4 hours to be honest, to get it ready. 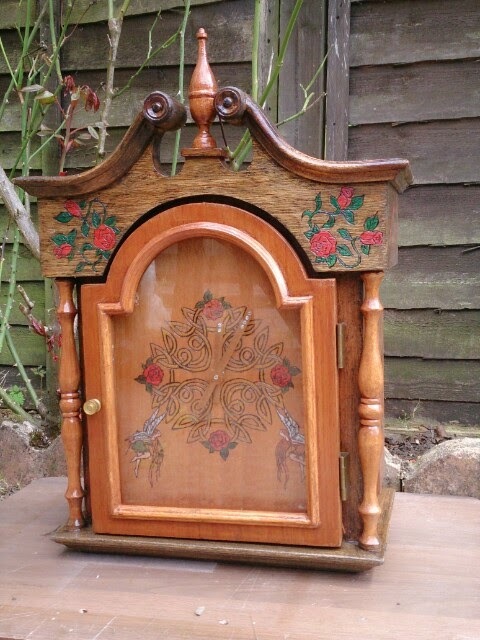 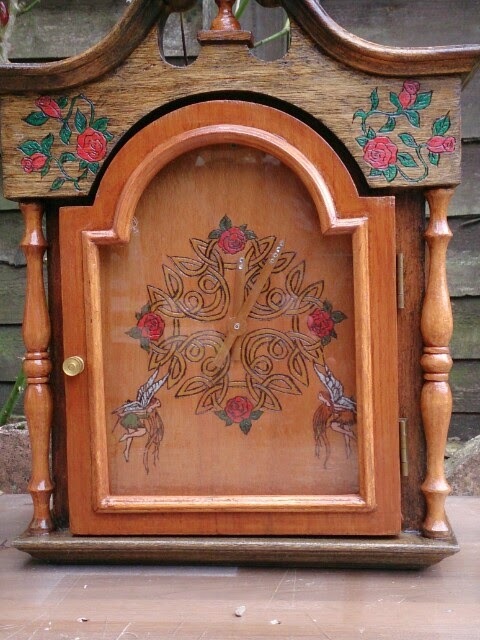 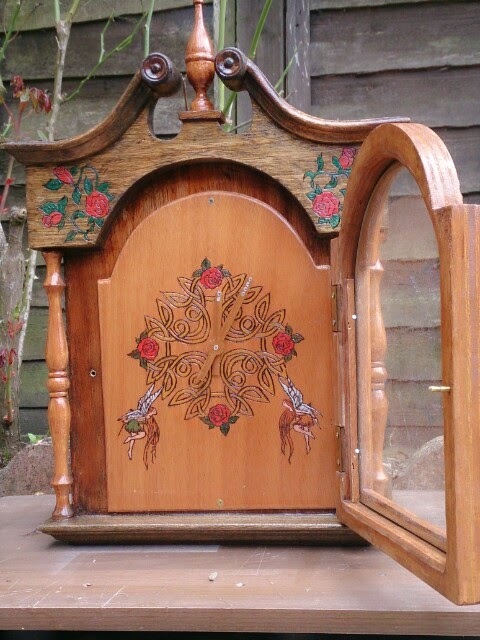 I wanted to make the sides of the clock to be a feature as well as the front so a faerie design was chosen for the two side raised panels that would fit in with the clock face. 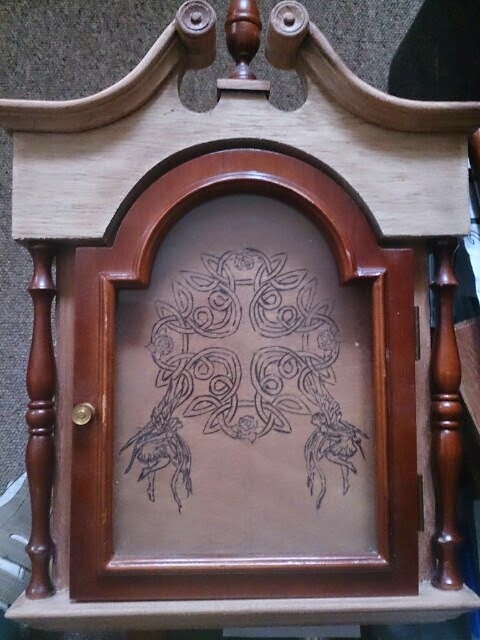 Once I as happy with the sides of the clock, I needed a design for the top front and sides that would not only look great, but also tie in with the clock face. 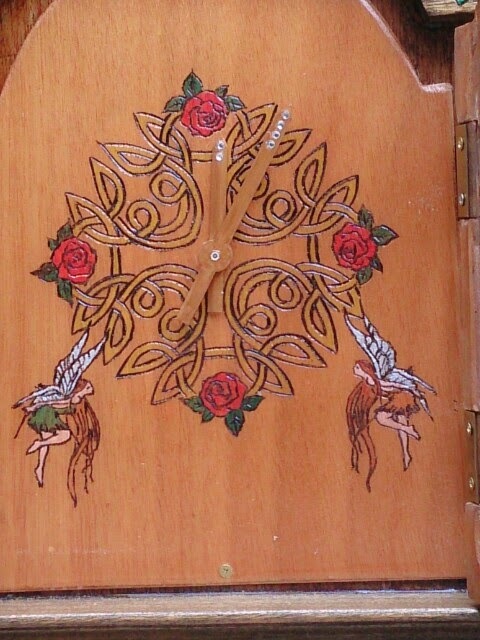 The roses were chosen as there was a rose on the clock face representing 12,3,6 and 9 o’clock. 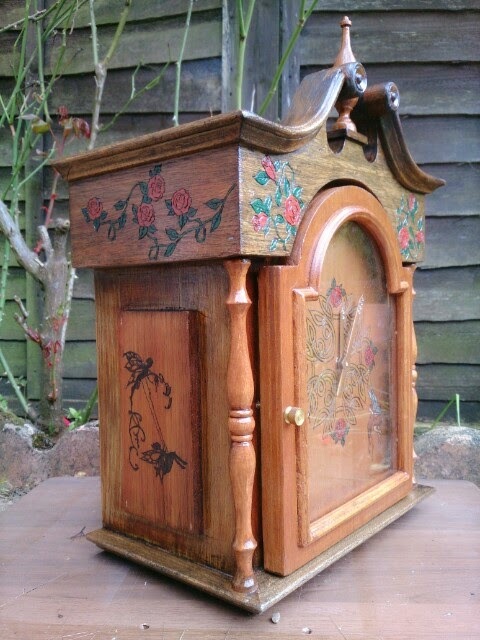 With the artwork completed, the whole clock now needed to be stained with Dark oak and teak to give it a rustic look. 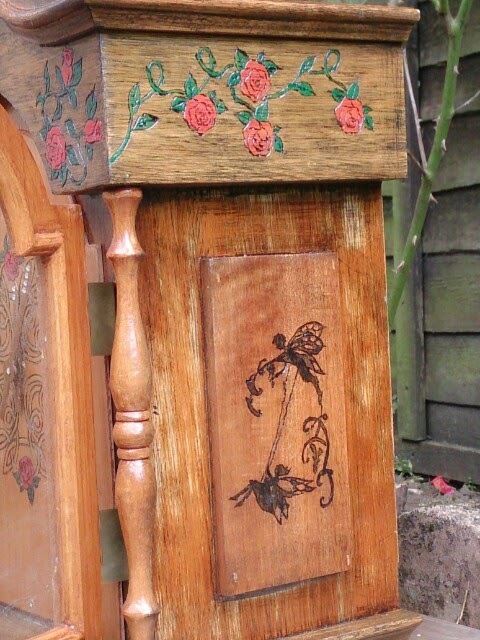 The staining was then rubbed down and then protected with varnish, sealer and finally a clear lacquer. 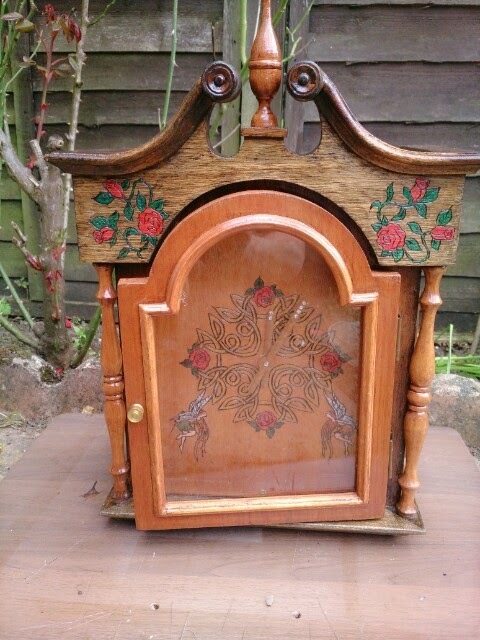 The finished result I have achieved is stunning and would look amazing sat on a mantle over an open fire or hanging on a wall.